As businesses grow less capital and infrastructure intensive and more people and knowledge intensive it becomes increasingly vital for today's managers to know what business information is available and how to apply it to their own decision-making processes. 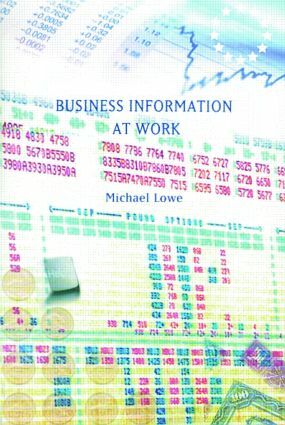 This book relates organisations' real information needs to specific types and named examples of information sources and services. The final chapter shows how to exploit the vast array of available information systematically, looking, for example, at the role of the information intermediary, the Internet and online hosts. This is a book no well-informed business should be without.